PLEASE READ THESE USER TERMS CAREFULLY BEFORE DOWNLOADING THE ROAD MARSHALL APPLICATION AND/OR USING OUR WEBSITE AND/OR SERVICE. THE USER TERMS ARE INTENDED FOR ALL USERS OF THE ROAD MARSHALL SERVICE, INCLUDING THOSE WHO ARE SIMPLY NAVIGATING THE WEBSITE OR THOSE WHO REGISTER AN ACCOUNT. HOWEVER, DIFFERENT SECTIONS OF THE USER TERMS AFFECT USERS DIFFERENTLY, SO PLEASE BE SURE TO READ THESE TERMS AND CONDITIONS CAREFULLY. 1. ROAD MARSHALL Service Overview. 2. Registration for ROAD MARSHALL Service. (a) Eligibility: By registering with ROAD MARSHALL, you represent and warrant that all registration information you submit, including, without limitation, your first and last name, mobile telephone number, vehicle information (make, model, year, etc. ), and credit card or financial account payment information is completely accurate and truthful. ROAD MARSHALL may, in our sole discretion, refuse to offer access to or use of the ROAD MARSHALL Services to any party and change the eligibility criteria at any time. By registering with ROAD MARSHALL, you represent that if you are an individual, you are of legal age to enter into a binding contract and that if you are registering on behalf of a legal entity, that you are authorized to enter into, and bind the entity to, these User Terms and register for the ROAD MARSHALL Service. (b) Security of Registration Information: You are solely responsible for maintaining the security and correctness of your registration information. You are fully responsible for all activity, liability and damage resulting from your failure to maintain password confidentiality. You agree to immediately notify ROAD MARSHALL of any unauthorized use of your password or any breach of security. You also agree that ROAD MARSHALL shall not be liable for any loss or damage arising from your failure to keep your password secure. (c) Compliance: You agree to comply with all local laws regarding online conduct and acceptable content. In addition, you must abide by our policies as stated in the User Terms as well as all other operating rules, policies and procedures that may be published from time to time via the ROAD MARSHALL Service, each of which is incorporated herein by reference and each of which may be updated by ROAD MARSHALL from time to time without notice to you. 3. How to use the ROAD MARSHALL Service. The ROAD MARSHALL Service offers you a platform to send a request for roadside assistance or tow services to a Provider. The GPS receiver, which should be installed on the mobile device (smart phone), or Internet Protocol address on your computer, requests your permission to detect your location and sends your location information to the relevant Provider. The Provider has sole and complete discretion to accept or reject each request for service. The Provider also has sole and complete discretion over whether to use the ROAD MARSHALL Service to receive the leads generated through the ROAD MARSHALL platform. If the Provider accepts a request, the ROAD MARSHALL mobile application notifies you and provides information regarding the Provider � including vehicle information, and the ability to contact the Provider by telephone. PAYMENT AUTHORIZATION: ROAD MARSHALL will place an immediate payment authorization to your credit card account in the estimated amount of the service (or in the case of roadside assistance, the amount quoted in the ROAD MARSHALL mobile application). However, the ultimate charge to your credit card account will be for the actual cost of the service. You may cancel your order prior to the Provider dispatching a truck to your location at no cost to you. If less than 15 minutes has elapsed after the Provider dispatched a truck, cancellation is subject to payment of a $20 non-refundable charge. If more than 15 minutes has elapsed after the Provider dispatched the truck, you are responsible for paying the full amount quoted in the ROAD MARSHALL mobile application. ADDITIONAL CHARGES: To the extent your description of the services needed and/or conditions impacting your vehicle are deficient, inaccurate or otherwise misstated and/or the services required are more extensive than your description indicated, the price quote provided through the ROAD MARSHALL mobile application shall not be binding and you are responsible for paying for any additional services needed and/or requested. For the avoidance of doubt: ROAD MARSHALL itself does not provide any roadside assistance or tow services, and ROAD MARSHALL is not a services carrier. Any roadside assistance and/or tow services are through the Provider. ROAD MARSHALL solely provides the platform through which you and the Provider can learn about each other. The provision of the services by the Provider to you is therefore subject to any agreement that you choose to enter into with the Provider. ROAD MARSHALL is never a party to any such agreement and you hereby agree to release ROAD MARSHALL from all liability and claims arising from any acts or omissions of Provider. 4. Your Use of the ROAD MARSHALL Service. You warrant that the information you provide to ROAD MARSHALL is accurate and complete. ROAD MARSHALL is entitled at all times to verify the information that you have provided and to refuse the ROAD MARSHALL Service for any reason or no reason. You may only access the ROAD MARSHALL Service using authorized means. ROAD MARSHALL is not liable if you do not have a compatible mobile device or computer. ROAD MARSHALL reserves the right to terminate the ROAD MARSHALL Service should you attempt to access the ROAD MARSHALL Service with an incompatible or unauthorized device or computer. You will comply with all applicable laws and regulations while using the ROAD MARSHALL Service. ROAD MARSHALL reserves the right to immediately terminate the ROAD MARSHALL Service should you not comply with any of the foregoing. You will comply with all applicable law from your home nation, the country, state and/or city in which you are present while using the Application or Service. ROAD MARSHALL reserves the right to immediately terminate the Service and the use of the Application should you not comply with any of the foregoing. Use of the ROAD MARSHALL Service without obtaining Provider services is free of charge for users. ROAD MARSHALL reserves the right to introduce certain fees in the future. However, ROAD MARSHALL shall provide you with prior written notice of such fees. The rates for the services charged by Providers can be accessed through the ROAD MARSHALL Service. These may be modified or updated by ROAD MARSHALL from time to time. It is your own responsibility to remain informed about the current rates for the services. You agree that you will pay for all services you purchase from the Provider, and that ROAD MARSHALL may charge your credit card account as provided by you when registering for the ROAD MARSHALL Service for the Provider services, including any taxes and late fees, as applicable, that may be accrued by or in connection with your account. You are responsible for the timely payment of all fees and for providing ROAD MARSHALL with a valid credit card account for payment of all fees at all times. All payments are non-refundable, subject to applicable law. ROAD MARSHALL is not an employment service and does not serve as an employer of any user of the Road Marshall Service or Provider. ROAD MARSHALL is not liable for any tax or withholding, including but not limited to unemployment insurance, employer�s liability, social security or payroll withholding tax in connection with any use of the ROAD MARSHALL Service or Provider�s services. No brokerage, agency, partnership, joint venture, employer-employee or franchisor-franchisee relationship is intended or created by these User Terms. Without limiting the foregoing, except as expressly set forth herein, ROAD MARSHALL is not acting and does not act as an agent or broker for any users, Providers, or any other user of the ROAD MARSHALL Service. By using the ROAD MARSHALL Service, you agree that you shall defend, indemnify and hold ROAD MARSHALL, its affiliates, its licensors, and each of their officers, directors, other users, employees, attorneys and agents harmless from and against any and all claims, costs, damages, losses, liabilities and expenses (including attorneys� fees and costs) arising out of or in connection with: (a) your violation or breach of any term of these User Terms or any applicable law or regulation, whether or not referenced herein; (b) your violation of any rights of any third party, including Providers arranged via the ROAD MARSHALL Service, or (c) your use or misuse of the ROAD MARSHALL Service. BY USING THE ROAD MARSHALL SERVICE OR ANY PORTION THEREOF, YOU AGREE THAT ROAD MARSHALL AND ITS AFFILIATES SHALL NOT BE LIABLE TO YOU FOR: (i) ANY INDIRECT, INCIDENTAL, SPECIAL, CONSEQUENTIAL OR EXEMPLARY DAMAGES WHICH MAY BE INCURRED BY YOU, HOWEVER CAUSED AND UNDER ANY THEORY OF LIABILITY, INCLUDING, BUT NOT LIMITED TO, LOSS OF PROFIT (WHETHER INCURRED DIRECTLY OR INDIRECTLY), LOSS OF GOODWILL OR BUSINESS REPUTATION, LOSS OF DATA SUFFERED, COST OF PROCUREMENT OF SUBSTITUTE GOODS OR SERVICES, OR OTHER INTANGIBLE LOSS; AND (ii) ANY LOSS OR DAMAGE WHICH MAY BE INCURRED BY YOU, INCLUDING, BUT NOT LIMITED TO, LOSS OR DAMAGE AS A RESULT OF (a) ANY CHANGES WHICH WE MAY MAKE TO THE ROAD MARSHALL SERVICE, OR FOR ANY PERMANENT OR TEMPORARY CESSATION IN PROVIDING THE ROAD MARSHALL SERVICE (OR ANY SERVICES OFFERED THROUGH OR FEATURES OF THE ROAD MARSHALL SERVICE), (b) THE DELETION OF, CORRUPTION OF, OR FAILURE TO STORE, ANY CONTENT AND OTHER COMMUNICATIONS DATA MAINTAINED OR TRANSMITTED BY OR THROUGH YOUR USE OF THE ROAD MARSHALL SERVICE, (c) YOUR FAILURE TO PROVIDE ROAD MARSHALL WITH ACCURATE ACCOUNT INFORMATION, (d) YOUR FAILURE TO KEEP YOUR PASSWORD OR ACCOUNT DETAILS SECURE AND CONFIDENTIAL, (e) YOUR USE OR MISUSE OF THE ROAD MARSHALL SERVICE, (f) ERRORS, DEFECTS, DELAYS IN OPERATION OR TRANSMISSION, AND/OR (g) HYPERLINKS TO WEB SITES OR CONTENT OR RESOURCES PROVIDED BY COMPANIES OR PERSONS OTHER THAN ROAD MARSHALL. THESE FOREGOING LIMITATIONS ON OUR LIABILITY SHALL APPLY WHETHER OR NOT WE HAVE BEEN ADVISED OF OR SHOULD HAVE BEEN AWARE OF THE POSSIBILITY OF ANY SUCH LOSSES ARISING. NOTWITHSTANDING THE FOREGOING, THE CUMULATIVE LIABILITY OF ROAD MARSHALL, ITS AFFILIATES, AGENTS AND THEIR RESPECTIVE OFFICERS, DIRECTORS, EMPLOYEES, AND AGENTS TO YOU FOR ALL CLAIMS ARISING FROM OR RELATING TO THESE USER TERMS OR YOUR USE OF THE ROAD MARSHALL SERVICES, INCLUDING, WITHOUT LIMITATION, ANY CAUSE OF ACTION SOUNDING IN CONTRACT, TORT, OR STRICT LIABILITY, WILL NOT EXCEED $100. THIS LIMITATION OF LIABILITY IS INTENDED TO APPLY WITHOUT REGARD TO WHETHER OTHER PROVISIONS OF THESE USER TERMS HAVE BEEN BREACHED OR HAVE PROVEN INEFFECTIVE OR IF A REMEDY FAILS OF ITS ESSENTIAL PURPOSE. SOME JURISDICTIONS DO NOT ALLOW FOR LIMITED LIABILITY OR EXCLUSION OF IMPLIED WARRANTIES, SO NOT ALL OF THE LIMITATIONS IN THESE USER TERMS MAY APPLY TO YOU. YOU ACKNOWLEDGE AND UNDERSTAND THAT THE DISCLAIMERS, EXCLUSIONS AND LIMITATIONS OF LIABILITY SET FORTH HEREIN FORM AN ESSENTIAL BASIS OF THE AGREEMENT BETWEEN THE PARTIES HERETO, THAT THE PARTIES HAVE RELIED UPON SUCH DISCLAIMERS, EXCLUSIONS AND LIMITATIONS OF LIABILITY, AND THAT ABSENT SUCH DISCLAIMERS, EXCLUSIONS AND LIMITATIONS OF LIABILITY, THE TERMS AND CONDITIONS OF THESE USER TERMS WOULD BE SUBSTANTIALLY DIFFERENT. The information, recommendations and/or services provided to you on or through the ROAD MARSHALL Service is for general informational purposes only and does not constitute advice. ROAD MARSHALL does not guarantee continuous, uninterrupted access to the ROAD MARSHALL Service. Although ROAD MARSHALL attempts to maintain the integrity and accuracy of the information accessible through the ROAD MARSHALL Service, we make no guarantees as to its correctness, completeness, or accuracy. Portions of the ROAD MARSHALL Service may contain typographical errors, inaccuracies, or other errors or omissions. Also, unauthorized additions, deletions, or alterations could be made to the ROAD MARSHALL Service by other users or third parties without ROAD MARSHALL�s knowledge. ROAD MARSHALL cannot and does not guarantee that (the contents of) the ROAD MARSHALL Services (including the Road MarshallForHelp.com website and the ROAD MARSHALL mobile application) are free of errors, defects, malware and viruses. ROAD MARSHALL reserves the right to cancel any payment, even if it has been previously confirmed by us in writing, as a result of incorrect or mistaken pricing or product or service description or other error. If we do cancel a payment, you will receive a full refund or credit as appropriate and you acknowledge and agree that a refund or credit is your sole remedy. The quality of the services requested through the use of the ROAD MARSHALL Service is entirely the responsibility of the Provider who ultimately provides such services to you. ROAD MARSHALL under no circumstance accepts liability in connection with and/or arising from the services provided by the Provider or any acts, action, behavior, conduct, and/or negligence on the part of the Provider and you hereby agree to release ROAD MARSHALL from all liability and claims arising from the foregoing. Any complaints about the services provided by the Provider should therefore be submitted to the Provider. ROAD MARSHALL AND ITS AFFILIATES PROVIDE THE ROAD MARSHALL SERVICE �AS IS� AND WITHOUT ANY WARRANTY OR CONDITION, EXPRESS, IMPLIED OR STATUTORY. YOU EXPRESSLY UNDERSTAND AND AGREE THAT YOUR USE OF THE ROAD MARSHALL SERVICE IS AT YOUR SOLE RISK AND THAT ROAD MARSHALL AND ITS AFFILIATES DO NOT REPRESENT OR WARRANT TO YOU THAT: (i) YOUR USE OF THE ROAD MARSHALL SERVICE WILL MEET YOUR REQUIREMENTS; (ii) YOUR USE OF THE ROAD MARSHALL SERVICE WILL BE UNINTERRUPTED, TIMELY, SECURE OR FREE FROM ERROR; (iii) ANY INFORMATION OBTAINED BY YOU AS A RESULT OF YOUR USE OF THE ROAD MARSHALL SERVICE WILL BE ACCURATE OR RELIABLE; AND (iv) THAT DEFECTS IN THE OPERATION OR FUNCTIONALITY OF ANY SOFTWARE PROVIDED TO YOU AS A PART OF THE ROAD MARSHALL SERVICE WILL BE CORRECTED. ROAD MARSHALL AND ITS AFFILIATES SPECIFICALLY DISCLAIM ALL WARRANTIES AND CONDITIONS OF ANY KIND, WHETHER EXPRESS OR IMPLIED, INCLUDING, BUT NOT LIMITED TO, ANY IMPLIED WARRANTIES OF TITLE, MERCHANTABILITY, PERFORMANCE, FITNESS FOR A PARTICULAR PURPOSE AND NON-INFRINGEMENT. IN ADDITION, NO ADVICE OR INFORMATION (ORAL OR WRITTEN) OBTAINED BY YOU FROM ROAD MARSHALL OR ITS AFFILIATES SHALL CREATE ANY WARRANTY NOT EXPRESSLY STATED IN THIS AGREEMENT. SOME STATES DO NOT ALLOW THE DISCLAIMER OF IMPLIED WARRANTIES, SO THE FOREGOING DISCLAIMER MAY NOT APPLY TO YOU. 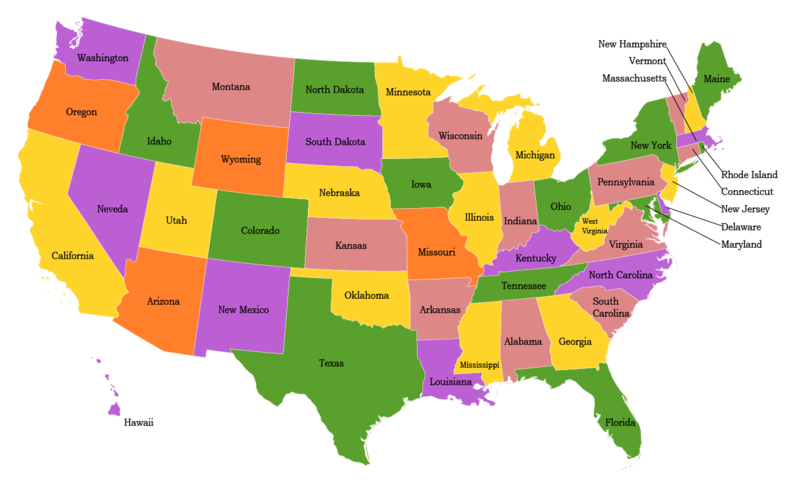 YOU MAY ALSO HAVE OTHER LEGAL RIGHTS THAT VARY FROM STATE TO STATE. 10. License Grant, Restrictions and Copyright Policy. �Content� means all content featured or displayed, including, but not limited to, logos, icons, trademarks, text, graphics text, graphics, photographs, images, moving images, sound, illustrations, music, software (excluding the ROAD MARSHALL mobile application), opinion, remarks, comments, artwork, links, questions, suggestions, information or other materials. �ROAD MARSHALL Content� means Content owned or used by ROAD MARSHALL, its affiliates or licensors and made available through the ROAD MARSHALL Service (including the Road MarshallForHelp.com website and ROAD MARSHALL mobile application), including any Content licensed from a third party, but excluding User Content. �User Content� means Content that a ROAD MARSHALL user posts, uploads, publishes, submits or transmits to be made available on the Road Marshall website or through the ROAD MARSHALL Service. �Collective Content� means, collectively, ROAD MARSHALL Content and User Content. You may not use, copy, adapt, modify, create derivative works of, distribute, license, sell, transfer, publicly display, publicly perform, reproduce, transmit, stream, broadcast or otherwise exploit the ROAD MARSHALL Service or Collective Content, except as expressly permitted in these User Terms. You may not reuse any Collective Content without first obtaining the written consent of ROAD MARSHALL. No licenses or rights are granted to you by implication or otherwise under any intellectual property rights owned or controlled by ROAD MARSHALL or its licensors, except for the licenses and rights expressly granted in these User Terms. 11. License Granted by User. We may, in our sole discretion, permit users to post, upload, publish, submit or transmit User Content on the ROAD MARSHALL Service. User Content will be deemed non-confidential and non-proprietary. Accordingly, ROAD MARSHALL shall have the right and you hereby grant ROAD MARSHALL the non-exclusive, royalty-free, perpetual right to use, copy, publicly display, publicly perform, modify, create derivative works of and otherwise use or exploit, for any purpose, in any medium and throughout the world, any Content that you post, upload, publish, submit or transmit to be made available on the Road Marshall website or through the ROAD MARSHALL Service (�License Grant�). You represent and warrant that any Content posted or transmitted by you does not and will not infringe any third party rights, including any intellectual property rights, rights of privacy or personality rights and does not contain any defamatory content. Furthermore, you represent and warrant that you have obtained all necessary permission to post any such Content and to grant ROAD MARSHALL the rights granted in the License Grant without restriction. You acknowledge that ROAD MARSHALL only acts as a passive conduit for the distribution of the User Content and is not responsible or liable to you or to any third party for the content or accuracy of the User Content. ROAD MARSHALL does not continuously monitor User Content published by you or any other user or moderate between users and ROAD MARSHALL is under no obligation to do so. Without limiting the foregoing, you acknowledge and agree that any remarks, opinions, comments, suggestions and other information expressed or included in the User Content do not necessarily represent those of ROAD MARSHALL. Any use by you of the User Content is entirely at your own risk. You agree to indemnify and hold harmless ROAD MARSHALL, its affiliates and licensors against all costs, expenses, damages, losses and liabilities incurred or suffered by ROAD MARSHALL or its affiliated companies related to any Content posted or transmitted by you or your other use of the ROAD MARSHALL Service. ROAD MARSHALL reserves the right at its sole discretion to block or remove (in whole or in part) any User Content which ROAD MARSHALL believes is not in accordance with these User Terms (including materials which infringe or may infringe third party intellectual property rights, rights of privacy or personality rights), or is otherwise unacceptable to ROAD MARSHALL. 12. ROAD MARSHALL Mobile Application License. Subject to your compliance with these User Terms, ROAD MARSHALL grants you a limited non-exclusive, non-transferable license to use the ROAD MARSHALL mobile application and to access the ROAD MARSHALL Service via a single mobile device or computer that you own or control and to run such copy of Road Marshall mobile application solely for your own personal use. You shall not (i) license, sublicense, sell, resell, transfer, assign, distribute or otherwise commercially exploit or make available to any third party the Road Marshall mobile application in any way; (ii) modify or make derivative works based upon the ROAD MARSHALL Service or Road Marshall mobile application; (iii) create Internet �links� to the Service or �frame� or �mirror� the Road Marshall mobile application on any other server or wireless or Internet-based device; (iv) reverse engineer or access the Road Marshall mobile application in order to (a) design or build a competitive product or service, (b) design or build a product using similar ideas, features, functions or graphics of the ROAD MARSHALL Service or Road Marshall mobile application, or (c) copy any ideas, features, functions or graphics of the ROAD MARSHALL Service or Road Marshall mobile application, or (v) launch an automated program or script, including, but not limited to, web spiders, web crawlers, web robots, web ants, web indexers, bots, viruses or worms, or any program which may make multiple server requests per second, or unduly burdens or hinders the operation and/or performance of the ROAD MARSHALL Service or Road Marshall mobile application. You shall not: (i) send spam or otherwise duplicative or unsolicited messages in violation of applicable laws; (ii) send or store infringing, obscene, threatening, libelous, or otherwise unlawful or tortious material, including material harmful to children or violative of third party rights; (iii) send or store material containing software viruses, worms, Trojan horses or other harmful computer code, files, scripts, agents or programs; (iv) interfere with or disrupt the integrity or performance of the ROAD MARSHALL Service or the data contained therein; or (v) attempt to gain unauthorized access to the ROAD MARSHALL Service or its related systems or networks. ROAD MARSHALL will have the right to investigate and prosecute violations of any of the above to the fullest extent of the law. ROAD MARSHALL may involve and cooperate with law enforcement authorities in prosecuting users who violate these User Terms. You acknowledge that ROAD MARSHALL has no obligation to monitor your access to or use of the ROAD MARSHALL Service or Collective Content or to review or edit any Collective Content, but has the right to do so for the purpose of operating the ROAD MARSHALL Service, to ensure your compliance with these User Terms, or to comply with applicable law or the order or requirement of a court, administrative agency or other governmental body. ROAD MARSHALL reserves the right, at any time and without prior notice, to remove or disable access to any Collective Content that ROAD MARSHALL, at its sole discretion, considers to be in violation of these User Terms or otherwise harmful to the ROAD MARSHALL Service. ROAD MARSHALL (and its licensors, where applicable) own all right, title and interest, including all related intellectual property rights, in and to the ROAD MARSHALL Service (including the Road MarshallForHelp.com website and ROAD MARSHALL mobile application) and any suggestions, ideas, enhancement requests, feedback, recommendations or other information provided by you or any other party relating to the ROAD MARSHALL Service, in which you hereby assign all rights, title and interest to ROAD MARSHALL. These User Terms do not constitute a sale and do not convey to you any rights of ownership in or related to the ROAD MARSHALL Service or any intellectual property rights owned by ROAD MARSHALL. ROAD MARSHALL�s name, logo, and the product names associated with the ROAD MARSHALL Service are trademarks of ROAD MARSHALL, its affiliated companies or third parties, and no right or license is granted to use them. 14. App Store Sourced Application. With respect to any application accessed through or downloaded from the Apple App Store (�App Store Sourced Application�), you agree that you will use the App Store Sourced Application only: (i) on an Apple-branded product that runs iOS (Apple�s proprietary operating system software); and (ii) as permitted by the �Usage Rules� set forth in the Apple App Store Terms of Service. ROAD MARSHALL reserves all rights in and to the application not expressly granted to you under these User Terms. You acknowledge and agree that (i) these User Terms are valid between you and ROAD MARSHALL only, and not Apple, and (ii) ROAD MARSHALL, not Apple, is solely responsible for the App Store Sourced Application and content thereof. Your use of the App Store Sourced Application must comply with the App Store Terms of Service. In the event of any failure of the App Store Sourced Application to conform to any applicable warranty, you may notify Apple, and Apple will, where applicable, refund the purchase price for the App Store Sourced Application to you and to the maximum extent permitted by applicable law, Apple will have no other warranty obligation whatsoever with respect to the App Store Sourced Application. As between ROAD MARSHALL and Apple, any other claims, losses, liabilities, damages, costs or expenses attributable to any failure to conform to any warranty will be the sole responsibility of ROAD MARSHALL. You and ROAD MARSHALL acknowledge that, as between ROAD MARSHALL and Apple, Apple is not responsible for addressing any claims you have or any claims of any third party relating to the App Store Sourced Application or your possession and use of the App Store Sourced Application, including, but not limited to: (i) product liability claims; (ii) any claim that the App Store Sourced Application fails to conform to any applicable legal or regulatory requirement; and (iii) claims arising under consumer protection or similar legislation. You and ROAD MARSHALL acknowledge that, in the event of any third party claim that the App Store Sourced Application or your possession and use of that App Store Sourced Application infringes that third party�s intellectual property rights, as between ROAD MARSHALL and Apple, ROAD MARSHALL, not Apple, will be solely responsible for the investigation, defense, settlement and discharge of any such intellectual property infringement claim to the extent required by this Agreement. You and ROAD MARSHALL acknowledge and agree that Apple, and Apple�s subsidiaries, are third party beneficiaries relating to your license of the App Store Sourced Application, and that, upon your acceptance of these User Terms, Apple will have the right (and will be deemed to have accepted the right) to enforce the rights under these User Terms as related to your license of the App Store Sourced Application against you as a third party beneficiary thereof. During the use of the ROAD MARSHALL Service, links to websites that are owned and controlled by third parties may be provided from time to time in order to enter into correspondence with, purchase goods or services from, participate in promotions of third parties. These links take you off the ROAD MARSHALL Service and are beyond ROAD MARSHALL�s control..
16. Termination of the Agreement. The agreement between ROAD MARSHALL and you embodied by these User Terms may be terminated at any time. If you wish to terminate the Agreement, you must permanently delete the ROAD MARSHALL mobile application installed on your smart phone, thus disabling your use of the ROAD MARSHALL Service. ROAD MARSHALL is entitled to terminate the Agreement at any time and with immediate effect (by disabling your use of the ROAD MARSHALL Service). ROAD MARSHALL is not obliged to give notice of the termination of the Agreement in advance. After termination ROAD MARSHALL will give notice thereof if required by these User Terms. 17. Invalidity of one or more provisions. 18. Modification of the Service and User Terms. ROAD MARSHALL may change these User Terms and will post the modified terms (which shall then become the agreement between you and ROAD MARSHALL) with the new effective date listed above. ROAD MARSHALL will also give you prior notice that the User Terms have been changed using the contact information provided by you. Therefore, you agree to keep your account information up-to-date. ROAD MARSHALL also encourages you to check the terms of these User Terms from time to time to see if they have been updated. If you do not agree to the modified User Terms, your sole recourse is to stop using the ROAD MARSHALL Services. Your continued use of the ROAD MARSHALL Services after the date the modified User Terms are posted will constitute your acceptance of the modified User Terms. ROAD MARSHALL may give notice by means of a general notice on the ROAD MARSHALL Service or mobile application, or by electronic mail to your email address on record in ROAD MARSHALL�s account information, or by written communication sent by regular mail to your address on record in ROAD MARSHALL�s account information. You may not assign your rights under these User Terms without prior written approval of ROAD MARSHALL. 21. Applicable law and Dispute Resolution. The User Terms and the resolution of any dispute related to these User Terms will be governed and interpreted by and under the laws of the State of California, without giving effect to any conflicts of laws principles that require the application of the law of a different state. You and ROAD MARSHALL agree to resolve any disputes between us in accordance with this Section 21. If you believe that ROAD MARSHALL has not adhered to the User Terms or you have any dispute with ROAD MARSHALL, please contact ROAD MARSHALL using the contact information provided below. We will do our best to address your concerns and each party agrees to attempt to resolve any disputes with the other amicably. Except as provided herein, you and ROAD MARSHALL agree that we will resolve any disputes between us that we cannot resolve as provided above through binding and final arbitration instead of through court proceedings. All such controversies, claims, counterclaims, or other disputes arising between you and ROAD MARSHALL relating to the ROAD MARSHALL Services or these User Terms (each a "Claim") shall be submitted for binding arbitration in accordance with the rules of the American Arbitration Association ("AAA"). If AAA is not available to arbitrate, the parties shall agree to select an available alternative dispute resolution provider (�ADR Provider�) and the rules of such provider shall govern all aspects of the arbitration. The arbitration will be heard and determined by a single arbitrator. The arbitrator's decision in any such arbitration will be final and binding upon the parties and may be enforced in any court of competent jurisdiction. The parties agree that the arbitration will be kept confidential and that the existence of the proceeding and any element of it (including, without limitation, any pleadings, briefs, documents, or other evidence submitted or exchanged and any testimony or other oral submissions and awards) will not be disclosed beyond the arbitration proceedings, except as may lawfully be required in judicial proceedings relating to the arbitration or by applicable disclosure rules and regulations of securities regulatory authorities or other governmental agencies. For any claim where the total amount of the award sought is $10,000 or less, the AAA (or ADR Provider, if applicable), you and ROAD MARSHALL must abide by the following rules: (a) the arbitration will be conducted solely based on written submissions; and (b) the arbitration will not involve any personal appearance by the parties or witnesses unless otherwise mutually agreed by the parties. If the claim exceeds $10,000, the right to a hearing will be determined by the AAA (or ADR Provider, if applicable) rules, and the hearing (if any) will be held in a location reasonably convenient to both parties unless the parties agree otherwise on a specific location. If you demonstrate that the costs of arbitration will be prohibitive as compared to the costs of litigation, ROAD MARSHALL will pay as much of the administrative costs and arbitrator's fees required for the arbitration as the arbitrator deems necessary to prevent the cost of the arbitration from being prohibitive. In the final award, the arbitrator may apportion the costs of arbitration and the compensation of the arbitrator among the parties in such amounts as the arbitrator deems appropriate. This arbitration agreement does not preclude you from seeking action by federal, state, or local government agencies. You and ROAD MARSHALL also have the right to bring qualifying claims in small claims court. In addition, you and ROAD MARSHALL retain the right to apply to any court of competent jurisdiction for provisional relief, including pre-arbitral attachments or preliminary injunctions, and any such request shall not be deemed incompatible with these User Terms, nor a waiver of the right to have disputes submitted to arbitration as provided in these User Terms. Neither you nor ROAD MARSHALL may act as a class representative or private attorney general, nor participate as a member of a class of claimants, with respect to any Claim. Claims may not be arbitrated on a class or representative basis. The arbitrator can decide only your and/or ROAD MARSHALL's individual Claims. The arbitrator may not consolidate or join the claims of other persons or parties who may be similarly situated. If any provision of this Section 21 is found to be invalid or unenforceable, then that specific provision shall be of no force and effect and shall be severed, but the remainder of this Section 21 shall continue in full force and effect. No waiver of any provision of this Section 21 will be effective or enforceable unless recorded in a writing signed by the party waiving such a right or requirement. Such a waiver shall not waive or affect any other portion of this User Terms. This Section 21 will survive the termination of this User Terms or your relationship with ROAD MARSHALL.